ALERT: Nationwide Mayors Challenge for safer streets for people who walk and bike - Invite your mayor! 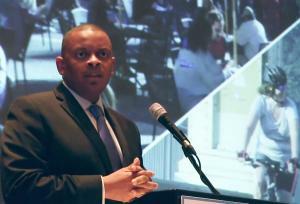 U.S. Secretary of Transportation--and former Charlotte, NC, Mayor--Anthony Foxx is challenging cities and mayors across Missouri and the United State to take positive steps to improve their communities for bicycling and walking. 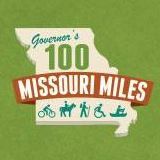 We hope communities across Missouri will sign up for the Mayor's Challenge by March 12th, in time for the nationwide announcement. We know that some Missouri mayors are planning to be in Washington, DC, for the nationwide announcement--having a group of Missouri mayors there would be amazing! Invite your mayor and city officials to join the Challenge by sending them to the Challenge web site. We know that several cities across Missouri have already signed up for the Challenge. If your city has already joined the challenge, please thank your Mayor for doing a great job! If your mayor hasn't joined the Challenge, please copy & paste the information on this page and forward it to your mayor and city officials, along with a personal note. Secretary Foxx is challenging mayors and local elected officials to take significant action to improve safety for bicycle riders and pedestrians of all ages and abilities over the next year. Mayors' Challenge participants will be invited to attend the Mayors' Summit for Safer People, Safer Streets in March, and their cities will spend a year helping their communities undertake seven activities to improve safety. The challenge is based on the 2010 USDOT Policy Statement on Bicycle and Pedestrian Accommodation. Mayors and other elected city officials can participate by leading a call to action and helping their cities take on the Challenge activities outlined below. Only mayors or their designated representatives can sign up for the Challenge. But please encourage your Mayor to join the Challenge--and contact your city council representative and ask him or her to encourage the Mayor to join the Challenge. Ask you Mayor to visit the Mayor's Challenge website for more information or to sign up for the Challenge. » Next story: Rock Island Trail: What is the value of rail trails to trail neighbors and communities?